Described by his principal as pleasant and disciplined, Sharmari Mark, who sat 10 CXCs during last month’s examinations, would like to pursue a degree in construction engineering. Aside from the rigorous curriculum he selected for himself, he wishes to be a professional footballer. Sharmari started playing football at the age of 5 and has been on the Under 17 team. He is currently acting captain of the Under 20 team. He has represented Grenada in a range of sporting activities both at home and abroad, and he recently completed a football training session in Barbados with English Football Club Cheslea, with the hope to securing a football sponsorship in the near future. He has also represented Grenada in lawn tennis in Trinidad & Tobago, and in athletics in Tortola. Recently he had another reason to smile. 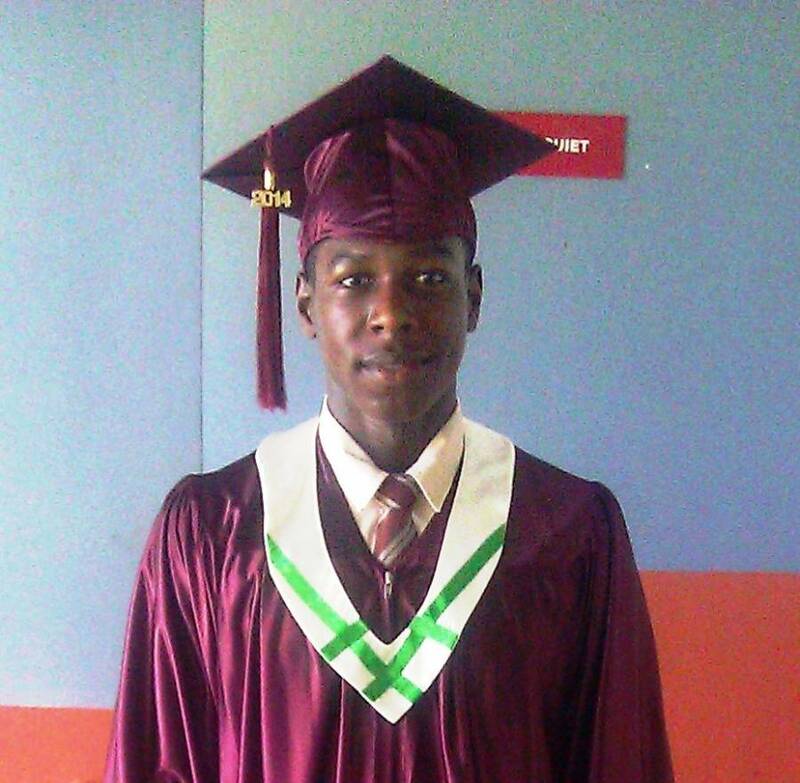 Axcel Finance decided to sponsor his graduation from the St Mark’s Secondary School. The aspiring young graduate who hails from the town of Victoria was the lucky beneficiary of the graduation kit. Axcel Finance identified the St Mark’s Secondary School as the recipient of this very thoughtful gift, as it fits in with Axcel’s commitment to assisting rural, untapped communities. Originally named the Waltham Junior Secondary School, St Marks Secondary has been serving the community of Victoria and the surrounding areas for over 30 years. Given Axcel’s recent entrance into Grenada, the company intends to continue to invest heavily in initiatives in the community, especially schools, as it grows and expands. This latest assistance is Axcel’s way of celebrating the achievements of young persons and encouraging them to aspire to greatness.